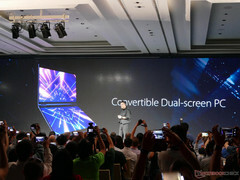 Asus has stunned with a fully functional prototype of its vision of the near future of the notebook. 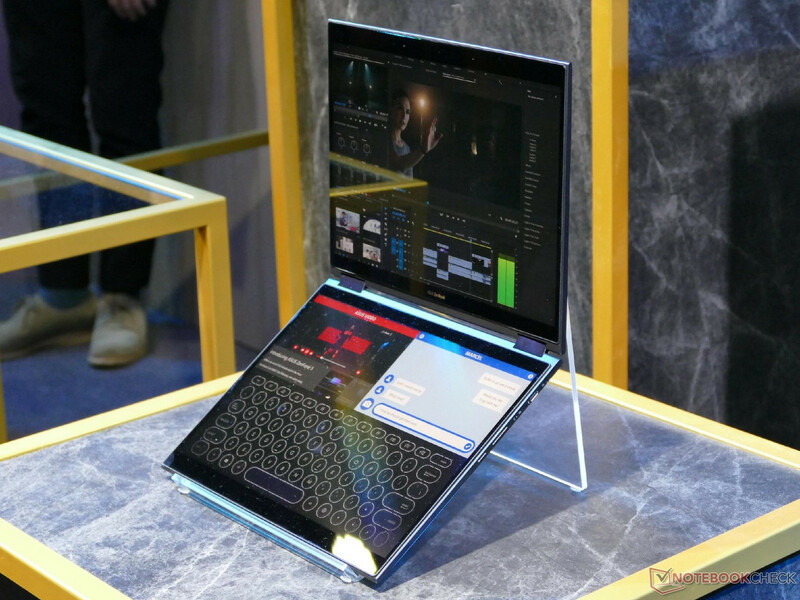 Dubbed Project Precog, the device is a multifunctional dual-screen notebook that promises to take Lenovo's Yoga Book to the next level. 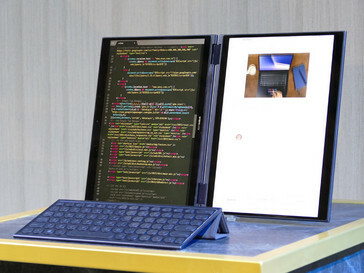 As you can see from the photos below, removing the physical keyboard from the device and replacing it with a second screen allows the bottom half of the notebook to be infinitely reconfigured. 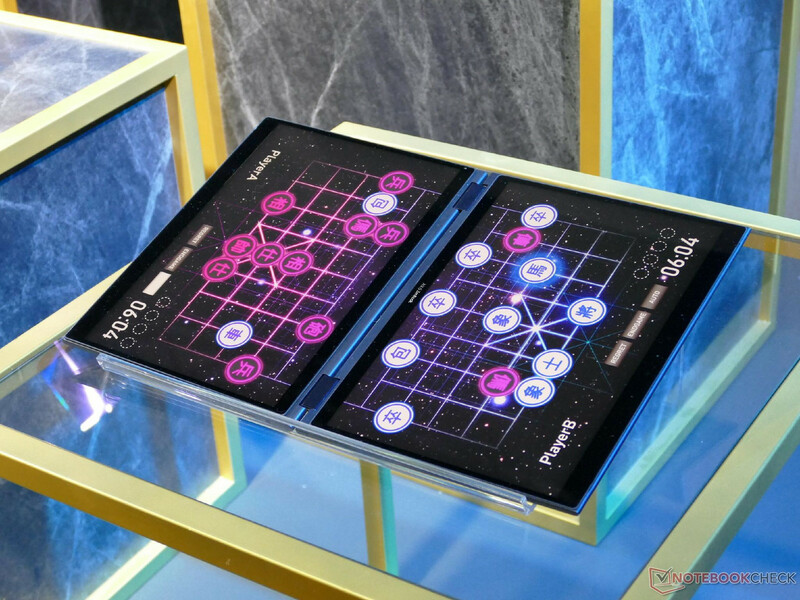 Asus showed the device in various modes including one where a virtual keyboard is used to replace a physical keyboard, and a mode where a portable physical keyboard is also used with the device when a virtual keyboard won't cut it. 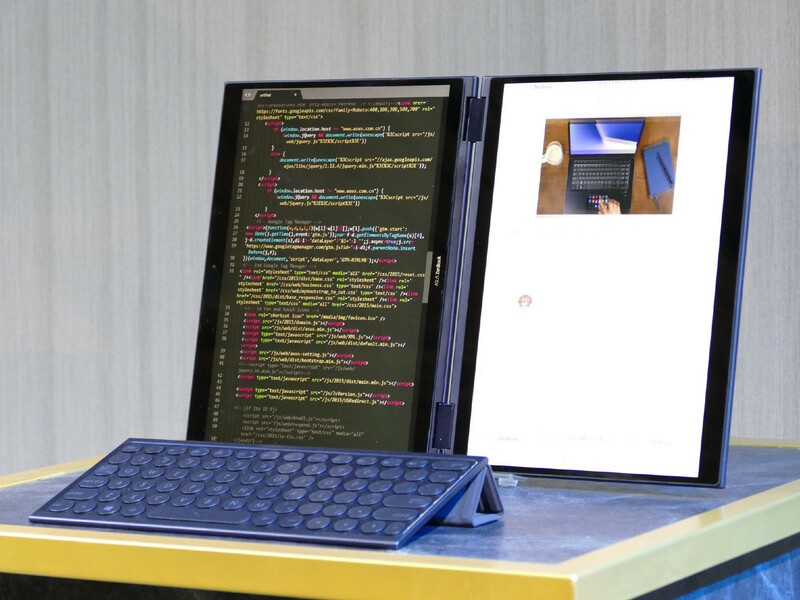 Project Precog will utilize Intel's Movidius machine learning technology to detect where a user's hands are in relation to the screens at all times. This technology will also help the virtual keyboard to adapt to the user by predicting where fingers will be when a user is typing. It can also detect the proximity of a stylus to know when to switch into drawing mode. Other AI-related technology has been deployed to manage battery life and charging, dependent on time of day to get the cheapest electricity rates. AI tech will also assist users in various apps, providing prompts and suggestions. 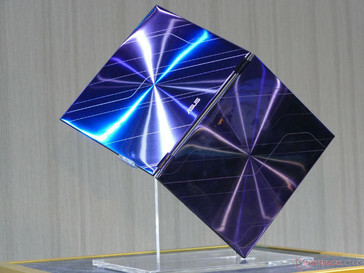 With these sorts of smart, predictive technologies onboard, it is little wonder that Asus chose the Project Precog name. If you've read, or seen, 'Minority Report' you will recall that precogs were beings that could predict future events and the technology packed into Project Precog is certainly riffing off that idea. Asus says it is planning on shipping a consumer ready model sometime in 2019. We wouldn't be surprised to see it land this time next year, at Computex 2019.